Total U.S. domestic crude oil production was 8,753 thousand barrels per day in 2014. This was the first time since 1988 that domestic crude production topped 8,000 thousand barrels per day. 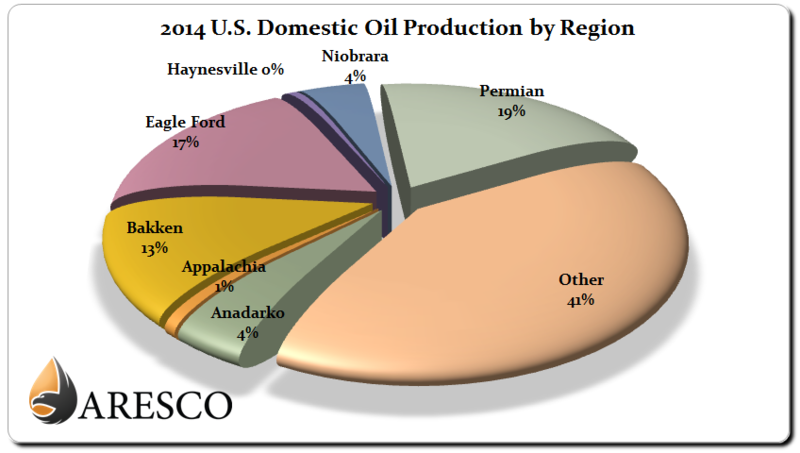 In 2014, the top producing regions were the Permian Basin with 19% of total domestic production, the Eagle Ford shale region with 17% of crude production, followed by the Bakken with 13% of total crude production as depicted in the chart above.